Posted on August 28, 2012, in For Dads, Miscellaneous, Views of Adults and tagged children writing, funny kids writing, funny writing, Humor, kids writing about dads, My Little Pony, Stuff Kids Write. Bookmark the permalink. 5 Comments. Agreed. My kids could only write poems comparing me to those hairless cats. 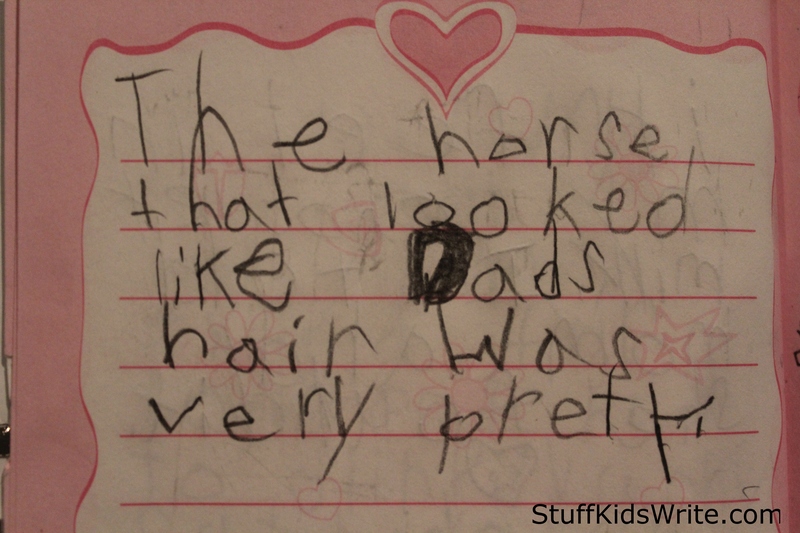 So… either the horse got a haircut or dad has a mane?